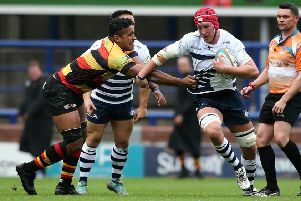 Yorkshire Carnegie are on a winning run but winger Chris Elder says part-time opponents and today's hosts Richmond will 'put everything on the line' in a battle for the points (Picture: Scott Merrylees). WINGER Chris Elder has urged improving Yorkshire Carnegie to be more clinical to ensure their winning run does not falter. They head to Richmond on Saturday on the back of six successive victories in all competitions. Sunday’s 18-13 success over high-flying Cornish Pirates saw them move level with 10th-placed Richmond in the Championship so a third-straight league victory would further ease any relegation fears. Until their recent surge the 24-7 win over Richmond at Headingley in September had been Carnegie’s solitary Championship success all term. However, Elder will not under-estimate their part-time opponents and admitted: “It’s a massive game for us. “They’re at home and they always have some real energy down there. They are always a tough team because they just put everything on the line and really fight for it. They’re at home and they always have some real energy down there. They are always a tough team because they just put everything on the line and really fight for it. “They have been used to doing that for two or three years now as well. It will be a tough one for us to go and get the points, but we’ve got into the winning mentality now and want to follow that up. Carnegie were 18-10 up against 14-man Cornish in the closing stages last weekend when they spurned a glorious chance to add a third try and seal the victory. Instead they saw two players sin-binned themselves and were left clinging on at the end. “It was great to get a win against a side like Cornish,” added Elder. “It wasn’t a complete performance as we screwed up some opportunities and lost the ball when we shouldn’t have. 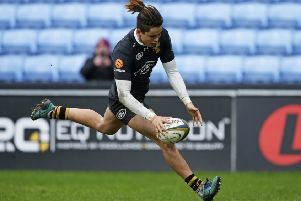 Centre Andy Forsyth was yellow-carded for a deliberate knock-on in the closing stages when Cornish looked certain to score and there was a debate as to whether that should have been awarded as a penalty try rather than just a penalty. But Elder, 26, countered: “I don’t really know on that. There was a lot of cover trying to get across and I think everyone was panicking thinking they were in anyway so I don’t know. “It’d have been tough to make the call either way, but I think the officials went for the middle one with a yellow and penalty.Equally, though, Andy thought he’d nearly caught it; he’s a millimetre going the other way. Carnegie director of rugby Chris Stirling has made six changes to his starting XV. George Watkins replaces Elijah Niko on the left wing while Sam Wolstenholme, the 19-year-old scrum-half who scored in that earlier previous win against Richmond, makes his first Championship start ahead of JB Bruzulier. 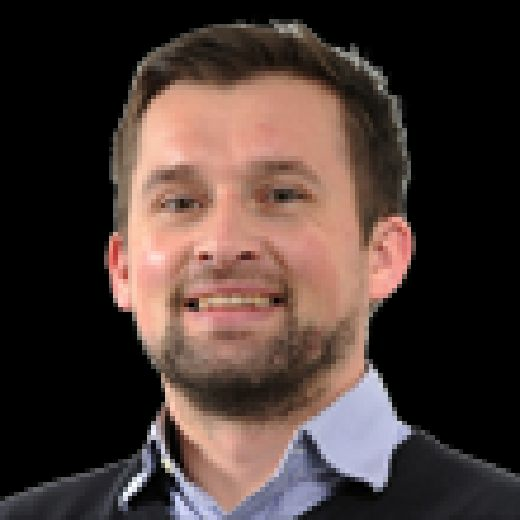 Ex-ACT Brumbies prop Nic Mayhew makes his full debut having come on as a replacement last week while tighthead Andy Foster starts instead of Craig Mitchell. Lock Fa’atiga Lemalu and flanker Antonio Kiri Kiri are promoted to start with Cian Romaine and Josh Bainbridge dropping to the bench.